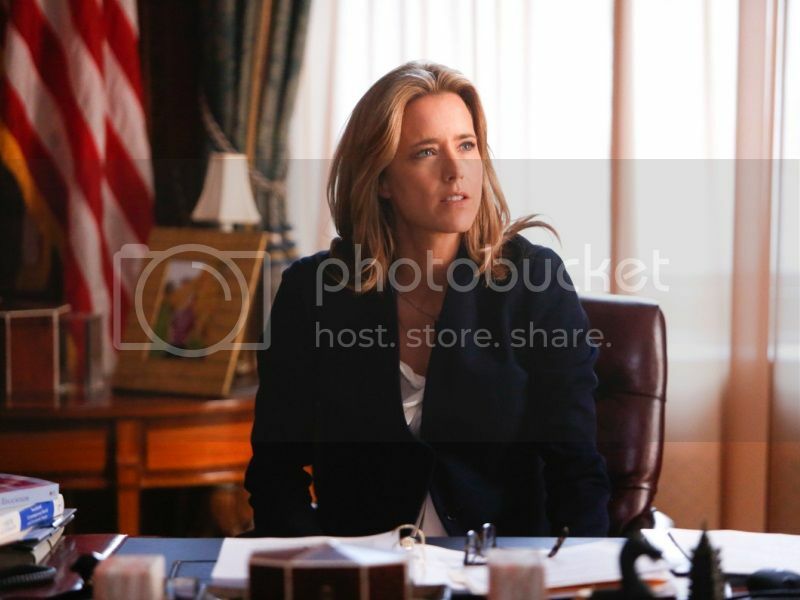 Posted on Sunday, September 21, 2014, by Eric - TV Geek Army "Revered Leader"
With Madam Secretary premiering tonight on CBS at 8:30/7:30c, a drama starring Téa Leoni as a newly appointed Secretary of State (in the form of tough/shrewd former CIA analyst Elizabeth McCord), it begs the question I like to toss around at parties every now and then: what's the best TV show about politics of all time? Let's begin with discarding some minor contenders and also rans. I watched the pilot of USA's Political Animals several years ago and thought it was pretty awful. While I'm a huge Tony Hale fan and Julia Louis-Dreyfus always turns in fine work (as she does on Veep as Vice President Selina Meyer), I'm much more "meh" on Veep than many. And on the topic of political comedies, Spin City doesn't nearly make the cut. Back in 2005, I thought that ABC's Commander-in-Chief with Geena Davis as President and Donald Sutherland had some promise, but it was canceled after its first season. Boss, starring Kelsey Grammer as Chicago Mayor Tom Kane, might be the exact polar opposite show from Parks and Recreation (more on the latter below. Grim and interspersed with scenes of Grammer suffering from a debilitating disease, it only lasted two seasons on Starz. Then we get into some pretty great shows that touch on politics or spend some screen time with the subject but don't necessarily scream "political show." I'd throw Boardwalk Empire into this category, what with its machinations involving Nucky Thompson and New Jersey machine politics, particularly in its early season. The Wire, arguably one of the overall greatest television series of all times (and I'd make that argument strongly), gets into politics the most deeply when it follows mayoral candidate Tommy Carcetti (Aidan Gillen) in Season Four. Its riveting stuff, but because The Wire is about so many other subjects: crime, urban life, drugs, cops and their doings, I can't quite offer up the series for consideration for best TV show about politics. Now let's get into some shows that are fully focused on politics and are at least quite good; we'll call it the semi-finals round. 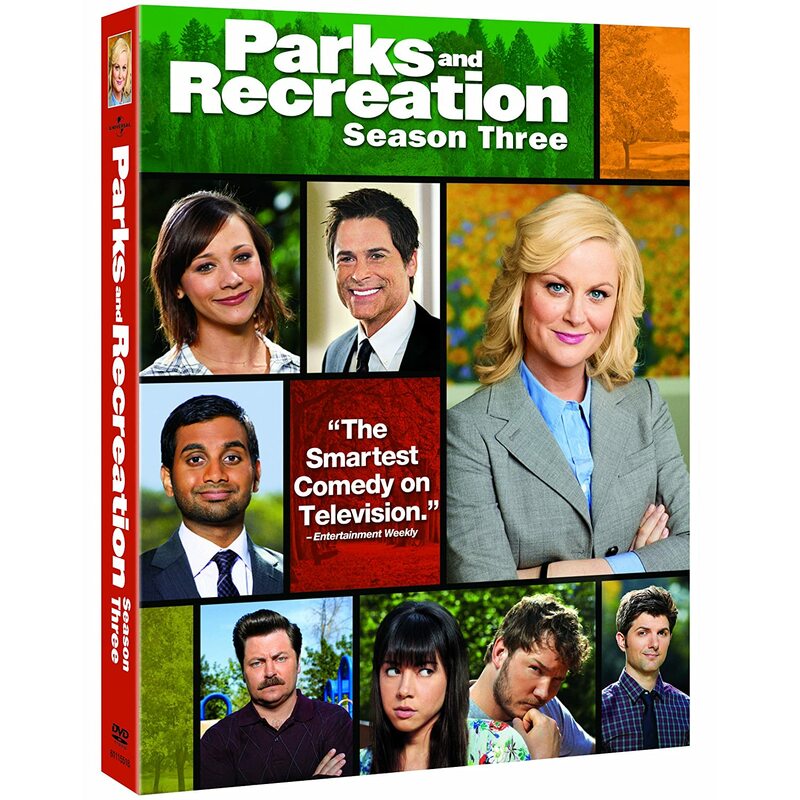 Parks and Recreation is one of the best flat out comedies of the last decade and infuses a surprising amount of pure local politics (often a dull-as-paint-drying subject on its own merits) into its loony yet cheery ecosystem. Amy Poehler's Leslie Knope is ambitious and civically proud, and its often a delight watching her run up against "the system" (perhaps the Parks producers are good Wire acolytes after all) in Pawnee, Indiana. Indeed, I only recently advised a friend not to get "Jammed" before he went off to attend a local town meeting. Scandal at its best is daffy, zany, way over-the-top soapy/sudsy drama involving Olivia Pope (Kerry Washington) and Tony Goldwyn (President Fitzgerald Grant) and a host of others. And that's just the way that show creator Shonda Rhimes likes it. We'll see if Rhimes' other new entry into the 2014 fall television lineup, How to Get Away With Murder, can repeat some of Scandal's success, including the rare feat of generating water cool talk in today's ultra-competitive and crowded entertainment marketplace. Now, let's get into the finals. Many people might argue that The West Wing is clearly the greatest political TV show of all time, and far be it from me to tell them that they're wrong. After all, this is pretty subjective stuff, no? And to be clear The West Wing was groundbreaking television for its time, bringing incredibly high production values and a strong ensemble cast that delivered consistently engrossing stories that were high minded in nature, even calling to our "better angels." The first few seasons were fabulous stuff, focused on the early years of the Bartlet Administration (Martin Sheen helming the show as President). The West Wing plateaued, as many shows do, particularly under the grueling demands of a broadcast network schedule. And it particularly suffered from show creator/mastermind Aaron Sorkin's departure after its fourth season. Fortunately, the show picked up steam dramatically in its seventh and final season as it focused on the presidential race between Matt Santos (Jimmy Smits) and Arnold Vinick (Alan Alda). So if it's not The West Wing, you ask, what is it, you ask? Yeah, that's right. While its second season on Netflix was derided by some, I strongly feel that House of Cards has stayed true in delivering a fabulous insider's view into the dark-as-night corruption and real politik that exists at the highest levels of office (fictionally, of course…). Kevin Spacey is a revelation as Frank Underwood, a cunning and viciously ambitious Congressman from South Carolina who can be as charming as the devil and who also takes great pride in often turning to the camera to let the audience in on his most intimate thinking and plans. The surrounding cast is nearly as good. Claire Underwood (Robin Wright) is the perfect match for Frank, and the two make perhaps the most fascinating and intriguing power couple that I've ever seen portrayed on TV or film. The way in which we slowly understand the bonds that hold them together and how the two interoperate are a part of the joy of watching this show. Then you can get into Michael Kelly as the ruthlessly effective yet troubled Chief of Staff Doug Stamper, Corey Stoll as tragic figure Rep. Peter Russo, Kate Mara as ambitious and conflicted reporter Zoe Barnes, and the list goes on and on. One of the things that puts House of Cards over the top in my mind is that while it is confident in its bleak worldview, it's often surprising and funny and quirky at the same time. Similar qualities by the way that make The Sopranos of the greatest series of all time. Great shows know how to break things up and weave comedy and intrigue into its overarching prime directive. Underwood's jaunts back to his home district have allowed House of Cards the ability to do this, for example, what with "the peach" incident (which by the way also showcases an exemplary example of how top ranking politicians in Congress must juggle sometimes petty matters back home with issues and bills impacting the entire country back in Washington) and Underwood getting an award at his military prep school (and the major revelations about Underwood's back story that that brought). More than anything, it's the naked ambition and lack of scruples from both Underwoods that takes House of Cards to the next level (though it was wonderful to see Claire buckle under the weight of her decisions ever so briefly near the end of Season Two). 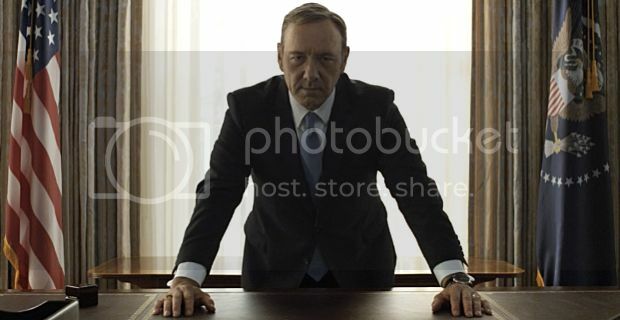 So for me, it's House of Cards, he said while wrapping his school ring on the desk not once but twice. What say you?